Liana Christian, marketing automation and database manager at MACU came up with an idea to solve their data access problem. “I had worked extensively with Eloqua and knew its robust capabilities. I recognized that we could use Eloqua to make our member data more accessible and easier to derive reports from—this would increase the efficacy of our marketing efforts as well as better track results,” said Christian. In addition to system integration, MACU needed to better manage and track the many leads collected from events and other activities, establish business processes around lead reporting, and upgrade their attribution reporting. MASS Engines upgraded MACU’s attribution reporting to improve visibility into efficacy of campaigns and lead scoring. “MASS Engines helped us better tune Eloqua to determine lead qualification and make the needed adjustments. This helped us find qualified people who were not being caught with lead scoring,” said Christian .MACU also worked with MASS Engines to enable attribution to a specific timeframe. “With MASS Engines’ help, we are now able to see campaign records at a glance, including all marketing influence during that period. We can see how many leads converted as well as the value,” said Christian. “What MASS Engines did is amazing. We can now track across cross sells and directly to campaigns.”. MASS Engines also provided comprehensive documentation when the project was complete. “The documentation that MASS Engines gave us detailed exactly what was built, so I understood precisely what had been done and how to use it. No deliverables were ‘black box.’ MASS Engines was totally transparent with every step,” said Christian. 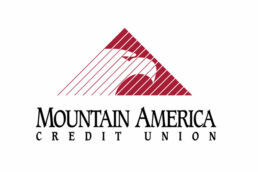 MACU is a full-service financial institution with nearly 100 branches in the Western U.S., more than 700,000 members and more than $7 billion in assets. It provides its members with a variety of convenient, flexible products and services, as well as sound, timely advice.